HDFC Bank has recently launched mobile app Chillr. Chillr will allow you to send money instantly to anyone in your phonebook. Chillr is multi banking mobile platform it is first launched for HDFC customers. Let’s talk about Chillr in detail. Chillr is mobile app for smart phone users this app allows immediate fund transfer to anyone in your phone book in an easy & secure manner. This app does not even require any information like IFSC code, Bank account number etc. What Chillr can offer you? 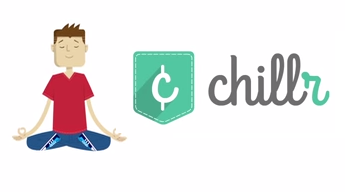 Sending money through Chillr is very easy. Select your friend from list enter the amount and remark. Authorize transaction using MPIN and you are done. Money will be transferred to your friend’s account. Many time we fall in awkward situation when it comes to splitting bill with friends. This feature will help you to come out from this situation. Select friends to divide funds with, enter the amount and remark, hit next button and your request will reach to your friends. This app will soon allow recharging of mobile, DTH, Data card etc. on the move. Consider situation where you forgot your wallet at home and you need to pay money to someone. You can use Near Me feature of Chillr to transfer funds to someone near you. This feature will find Chillr user near you. Select Near Me, enable Proximity payments, select individual and transfer payments. Chillr allows you to keep track of money transfer. It can keep unlimited number of logs. You can see all your transaction at single place. Every transaction of Chillr needs MPIN which is known to you only. This brings additional security to fund transfer. Communication channel between bank and this app is also secured using HTTPS. How to get Started with Chillr? Do share your views & experience with us! Note – HDFC Bank has discontinued Chillr app.For more information please visit HDFC bank website.